Join us this Saturday 3 pm - 5 pm for a wreath workshop! We will make custom wreaths with prices starting at just $8.95! 'Tis the Season at Marietta Farm! The Marietta family has been busy getting the farm ready for the 2018 Christmas Tree season. The General Store at Marietta Farm compliments the country stores of years past and offers unique seasonal items. We are located at 1600 E. US-54 Hwy, Andover, KS. Marietta Farm is a family friendly environment devoted to family fun. 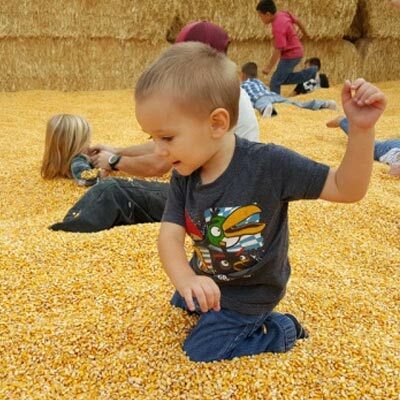 Our Fall Pumpkin Patch has everything you can imagine from corn cribs, play grounds, corn cannons, maze, bounce houses, train rides, and more.... Truly fun for the whole family. 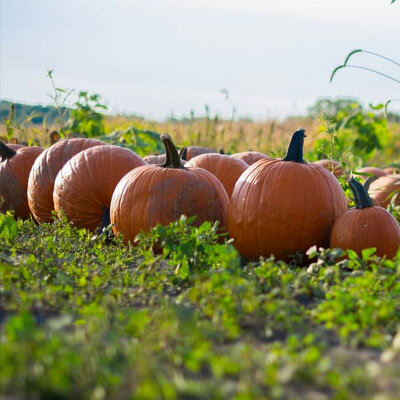 The Pumpkin Patch is open from Sept. 21st through Oct 31st. Our Christmas tree sales begin November 24th through December 24th. We offer fresh cut Christmas trees (Balsam fir, Douglas fir, Fraser fir, Blue Spruce) and Pre-lit artificial Christmas trees. You can also ride the Marietta Farm train, visit Santa, and enjoy free hot cider! Stop by and see us at Marietta Farm. Copyright © 2019, Marietta Farms.